nanopay is a Toronto-based fintech company with a unique payment platform that powers multi-currency payment solutions with instantaneous settlement. nanopay solutions include cross-border payment networks, business-to-business (B2B)payments and digital cash. Open APIs enable banks, payment service providers and businesses to securely store and transfer digital value between parties instantly and without intermediaries. The nanopay platform uses state-of-the-art cryptography and bank-grade HSM security and is designed for global regulatory compliance. 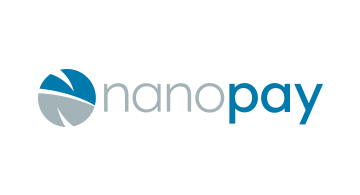 nanopay is venture funded with strategic investments from international partners including the Merchant Banking Division of Goldman Sachs. Partnerships includeGlobal Payments and Ingenico Group.